The fourth one in the series about QUANTIFIERS. This one is about TOO and ENOUGH. I hope you will find this one at least as useful as the other ones. (black and white included also, on second page) Enjoy and thank you in advance ! The tenth in the series: COLLOCATION - SAY, TELL, SPEAK, TALK.Unfortunately, this is the only one I send today. 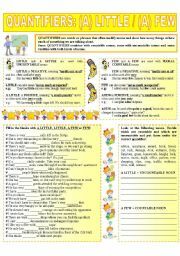 My little girl has a minor cold, and she was moody all day long, so I didn´t have the time to finish the other worksheets on COLLOCATION. But don´t worry ... they are coming ....And there are quite a few more ... ENJOY!!! 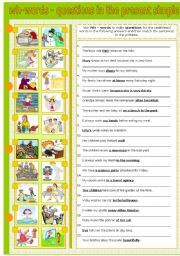 Follow-up activity for the IRREGULAR VERBS - PICTIONARY 1. 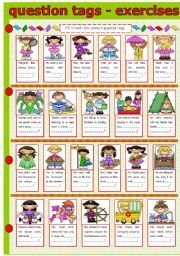 Exercise on the past forms of the irregular verbs. ENJOY !!! 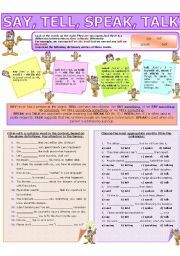 A worksheet about WH - words and making questions in the past simple. ENJOY !!! 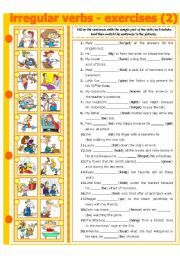 A worksheet about Wh- words and making questions in the present simple. ENJOY !!! 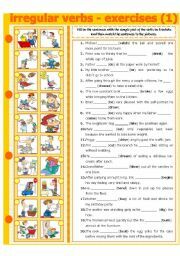 Another simple worksheet: students fill in the short texts with the right personal pronouns (subject and object) and possessive adjectives, according to the context. ENJOY !!! 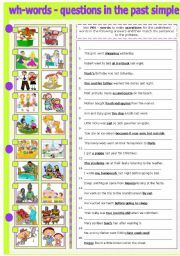 Part 3 on QUANTIFIERS. This one is on (A) LITTLE / (A) FEW. Black and white version included. Enjoy !!! 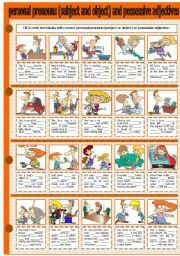 First exercise for today´s 20 irregular verbs: give the past tense form of the verbs in brackets and then match with the pictures. ENJOY !!! 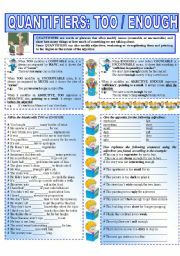 A simple worksheet on QUESTION TAGS. ENJOY !! !